I just finished a new tutorial. Since it’s Christmas time, I decided to do it about Snowflakes. Last year I made a beautiful cake for Christmas using some snowflake molds from the company Marvelous Molds. The video tutorial is posted at the end of the blog and I will post in the website too. Here are the molds are use. These molds are awesome. There are many molds in the market but not all of them are great. When I look for molds, I want one that, not only it’s easy to use but I love when the gumpaste doesn’t stick to it. These molds have a sharp edge and it cuts the gumpaste really easy too. place some gum glue on the back and place the mold directly on the cake and you can see exactly where you are placing it. I will do another tutorial showing you how to do that. For this cake I attached some of the snowflakes as they where made but I also let some of them dry. I wanted them to look almost like they were falling from the sky and making a bed of snowflakes at the bottom. The top of the cake was finished with snowflakes and a poinsettia gumpaste finished in super pearl dust and a gold center. I just added a section in the website with an advanced tutorial on how to make Poinsettias. Here is the link to the Poinsettia Tutorial for those of you who are interested. Click here for the Poinsettia Tutorial. I used the recipe for gumpaste I have posted in my website. Click here for Gumpaste Recipe. You can see here how beautiful and delicate these snowflakes are. The tutorial is below. 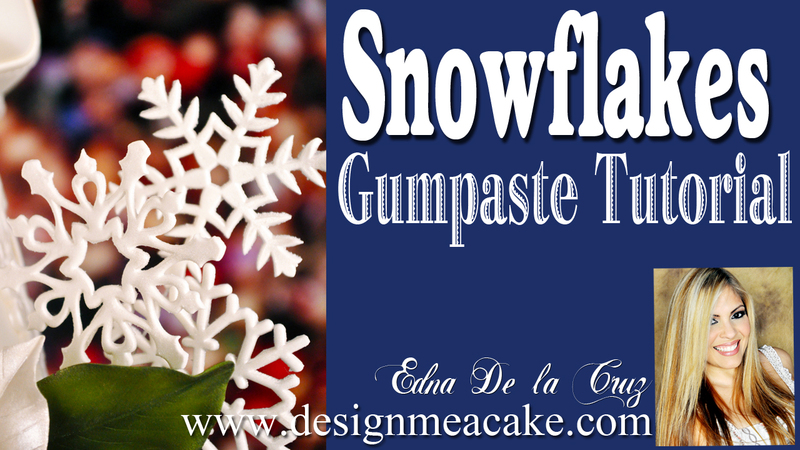 You can also visit Marvelous Molds for more info on these snowflakes. Click here to visit Marvelous Molds. Here is the tutorial. 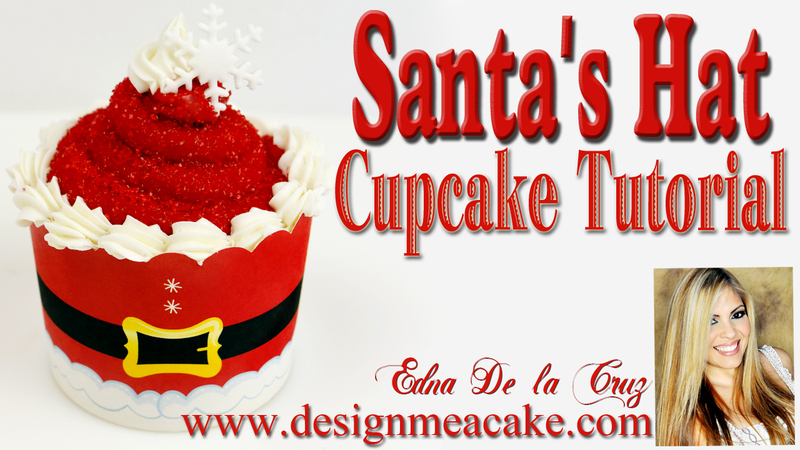 I will post it too in my website along my other tutorials and recipes. I hope you enjoy the tutorial, until next time Ta Ta!